Forty years ago, the Rockwood neighborhood between Portland and Gresham was a quaint middle-class part of town and the Sellwood neighborhood of Southeast Portland was a bit rough. These days, those characterizations have switched. In response, the Boys and Girls Clubs of Portland Metropolitan Area — a branch of the national nonprofit that offers after-school enrichment and child care to at-risk kids — is shifting where it delivers services. The board of the local Boys and Girls Clubs voted Nov. 30 to close the Sellwood club on Southeast Milwaukie Avenue and sell the property, with plans to find additional after-school sites in North Clackamas for approximately 700 members who have already moved away through the forces of gentrification. The organization plans to still offer services to approximately 200 club members in the immediate Sellwood area, at school-based sites. Locations are still being worked out. Meanwhile, the Boys and Girls Clubs is more than halfway to meeting its $9 million goal, set in early 2014, to fund a new Rockwood facility on Southeast 165th Avenue and Stark Street. Hubert says she wasn’t looking for “a new mouth to feed,” but in looking into the data, she soon became overwhelmed by the need in Rockwood. “I just kept calling it the freight train that ran us over,” she says. The Boys and Girls Clubs took over the property from the defunct Police Activities League, whose building ended up in too much disrepair. Rockwood, according to Hubert, has more children per square mile than anywhere else in Oregon, 60 percent of households in multifamily units, high rates of poverty and crime, and a prevalence of generational poverty, gang membership and prostitution. Hubert says the club, which serves underserved kids, needs to have a presence there. Former Portland Police Chief Mike Reese, who is chairman of the Boys and Girls Clubs of Portland’s 37-member board, says he hopes the organization can be part of what lifts Rockwood up. Reese worked at a Boys and Girls club — the one in Lents off Southeast 92nd Avenue — for five years after graduating from Portland State University. Reese says the experience informed his police work by showing him the value of social services. With a mostly part-time staff of around 140, Boys and Girls Clubs of Portland serves 10,000 children annually in after-school programs around the metro area. There are currently six stand-alone clubs as well as school sites in the Parkrose and Reynolds school districts. Boys and Girls Clubs puts its facilities in locations with the highest need, but does not screen applicants based on financial need or other demographic information. Child members of the clubs can choose from a range of activities, including leadership training, arts, sports and homework help. Kids get dinner each night and three square meals a day during the summer break. Membership is just $25 per year — plus $5 for each additional child in the family — even though it costs around $1,000 per year to serve each child. 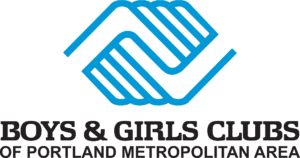 According to the most recently available IRS filings, Boys and Girls Clubs of Portland has about $5 million in annual contributions and $14 million in assets. The nonprofit has not yet put up the 46-year-old Meyer Memorial Club in Sellwood for sale, but anticipates using the money for operations and maintenance funds at existing sites, as well as padding for its employee salaries, which account for 55 percent of its budget. The Sellwood and Rockwood deals are therefore not linked, but the fact that both are occurring at the same time marks a major geographical shift for the organization. By the turn of 2017, the Sellwood club will be closed and the one breaking ground in April in Rockwood will be open. Hubert — who came from Entercom Communications three years ago and has since recruited six new administrators and seven new board members — is a catalyst for much of the recent change in the organization. She says she is driven by data analysis and strategic investments of the clubs’ finite resources.